News of the Joker Origin Movie caught many off guard, but apparently it shocked actor Jared Leto who already plays the character within the DCEU. Warner Bros.' decision to do a standalone Joker movie was announced last week while also revealing that it would take place outside of the DCEU and that another actor would be tapped to play the Clown Prince of Crime for this particular outing. One of the names on Warner Bros. dream list just happens to be Leonardo DiCaprio who the studio is trying to lure in with the inclusion of legendary director and frequent collaborator Martin Scorsese . The Hollywood Reporter revealed that DiCaprio was on the studio's wish list according to sources, but those same sources also said that the odds of DiCaprio jumping into his first superhero role to play the Joker were "slim to none." But another interesting piece of information in the article about the project came when it mentioned Jared Leto's reaction to Warner Bros. making a standalone Joker movie without him portraying the villainous character. THR's sources report that Leto was "was caught off guard by the plans" and that he is said to have "made his displeasure with the notion of multiple Jokers known to his CAA agents, and rival agency WME has been using the concern to court him." This makes sense, but what doesn't make sense is why Warner Bros. didn't tell Leto about the origin project to begin with. It really makes one think about the decision process going on over at the studio. Leto has put himself into reinventing a character when all of the odds were stacked against him, which in turn benefitted Warner Bros. and the DCEU greatly. 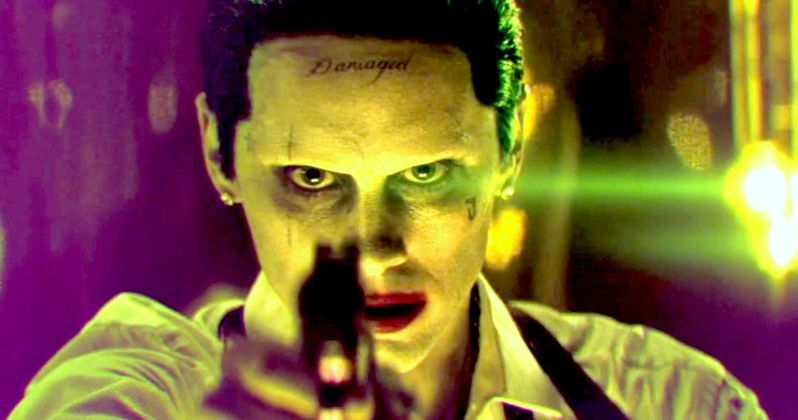 A lot has been said about Jared Leto's portrayal of the Joker, but like it or not, we're about to get a lot more of him, just not in the origin story that is said to be gritty, real, and violent. It is completely understandable why Jared Leto would feel caught off guard and angry by the decision to not even tell the actor before announcing that they were going to make the movie in the first place. It just seems like a common courtesy to tell someone who has and is about to make you some considerable money that you're making another movie with his character, but without him in it. While Martin Scorsese has yet to officially sign on to the gangster-like take on the young Joker, it seems highly unlikely that Leonardo DiCaprio will take on the role. Jared Leto, on the other hand, does seem like the perfect fit to play a young Joker that could play outside of the DCEU timeline and bring it up to speed to the events of Suicide Squad 2 and the Harley Quinn/Joker movie. In the meantime, we can all sit back and wonder what goes on behind the scenes at Warner Bros. while they're making these decisions. It sure seems like they're playing fast and loose with some of the most beloved DC characters from the outside looking in.